Gotland University have been teaching game development for 12 years. The GGC is an annual (very public!) evaluation of our work. International industry, academia and press are invited to help scrutinize our output, hone our process and celebrate our results. Check the Schedule for an overview of the conference content. Wisby Strand is one of the most modern conference centers in Europe and is located next to Gotland University in the the medieval city of Visby. 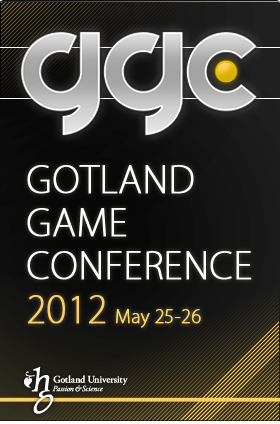 Gotland Game Conference 2012 is hosted by Gotland University. Event Producer is Ulf Benjaminsson at the department of Game Design, Technology and Learning Processes.